Easily usable by anyone, anytime and anywhere. There is absolutely no need for difficult operations. Since anyone can easily use this system, discussion can begin immediately at the required time. It is simple, just turn on the power and select the parties you want to connect from the displayed list. 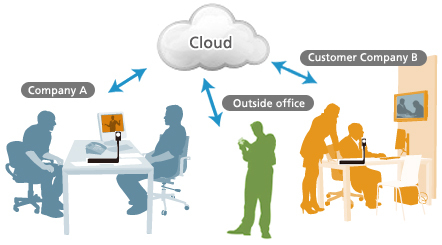 With cloud-based operation, you can increase business speed and strengthen communication not only with people inside the company but also with group companies, customers, and other sites outside the office! 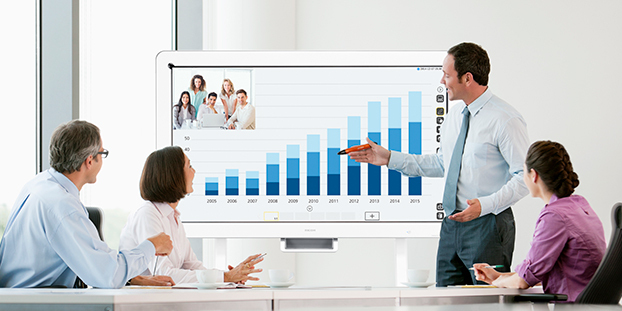 With this easy-to-carry portable unit, you can solve the problem of not being able to reserve a conference room. 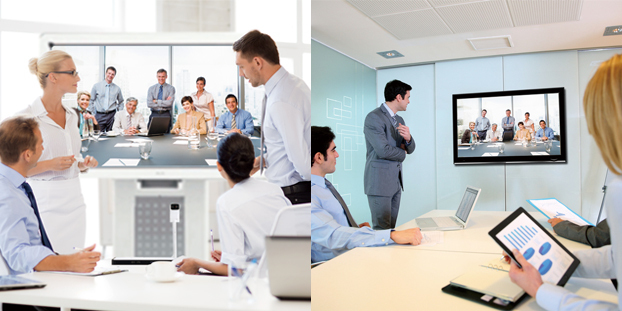 Videoconferencing can be done anywhere, including space used for casual meetings. 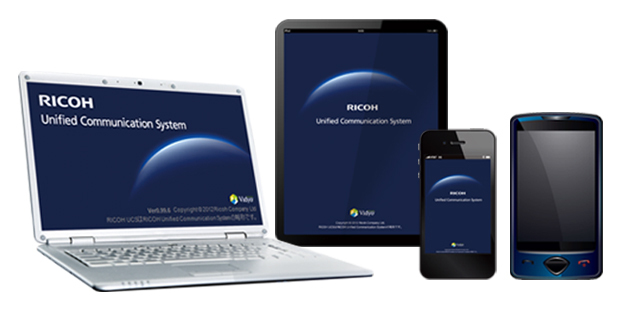 Unlimited number of devices can be connected simultaneously. The ability to connect multiple sites is a standard function. 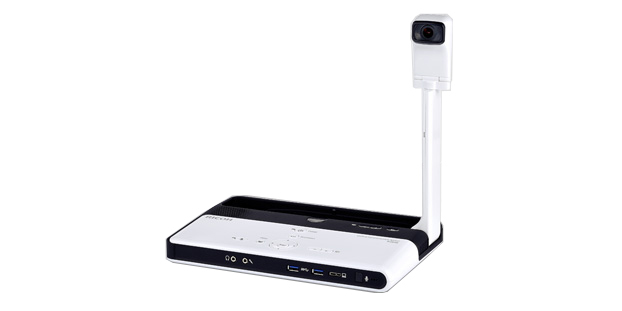 You don't need the expensive special equipment (multi-site connection devices) required by conventional videoconferencing systems. A common understanding can be smoothly reached since you can engage in discussion while sharing PC screens and showing parts and other actual objects. The optimum resolution and frame rate are automatically determined based on network status. 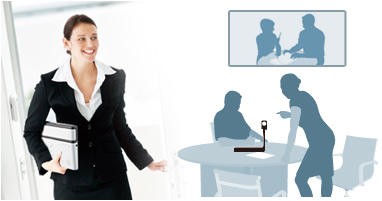 Proceed with stress-free discussions since the system minimizes video freezing and interruption. The video and audio data is encrypted. Even important and highly confidential meetings can be safely held because there is a framework (defined in advance) allowing connection only when there has been mutual authentication between terminals. A dedicated portable device, for casual or regular meetings.